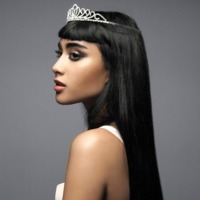 Natalia Noemi Keery-Fisher (born August 15, 1986), better known by her stage name Natalia Kills, is a British recording artist, songwriter, actress, and short-film director based in London and Los Angeles. Signed with Interscope Records, Kills is scheduled to release her debut studio album Perfectionist in April 2011. the first single taken from the album "Mirrors" has been given a release date of 18 April 2011 in the UK although the single being released nearly a year ago in the rest of europe and Canada. Kills has previously gone under the aliases Natalia Cappuccini and Verbalicious.